Martin Harris pleads with Joseph to take the sacred manuscript to show to his family. The Lord finally consents to let Martin take the 116 pages, with a solemn covenant to show them only to five of his family members. Emma gives birth to a son who soon after dies. Emma’s precarious health condition. Joseph leaves for Palmyra to find Martin. A stranger assures Joseph’s safe passage home. The “Book of Lehi” manuscript is lost. Martin Harris, having written some one hundred and sixteen pages for Joseph, asked permission of my son to carry the manuscript home with him in order to let his wife read it, as he hoped it might have a salutary effect upon her feelings. [i] He also wanted to show his family what he had been employed in during his absence from them. Joseph was very partial to Mr. Harris, on account of the friendship which he had manifested in an hour when there seemed to be no earthly friend to succor or to sympathize. Still, Joseph, for a long time, resisted every entreaty of this kind. 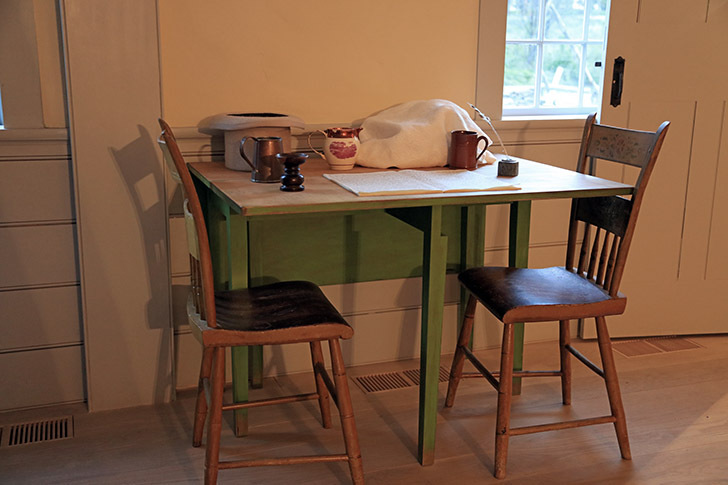 Here in the home of Joseph and Emma, in Harmony, Pennsylvania, Martin pleaded with Joseph to take the manuscript. At last, however, since Joseph felt a great desire to gratify the man’s feelings as far as it was justifiable to do so, he inquired of the Lord to know if he might do as Martin Harris had requested, but was refused. With this, Mr. Harris was not altogether satisfied, and, at his urgent request, Joseph inquired again, but received a second refusal. Still, Martin Harris persisted as before, and Joseph applied again, but the last answer was not like the two former ones. [ii] In this, the Lord permitted Martin Harris to take the manuscript home with him, on the condition that my son was responsible for its safety. This my son was willing to do, as he could not conceive it possible for so kind a friend to betray the trust reposed in him. But there is no doubt of this indulgence being given to Joseph in order to show him by another lesson of bitter experience how vain are all human calculations, and also that he might learn not to put his trust in man, nor make flesh his arm. Mr. Harris now took the most solemn oath that he would not show the manuscript to any save five individuals who belonged to his household. [iii] His anxious desires were now gratified, for he hoped that this might be the means of carrying the truth home to their hearts. The idea of effecting a union of sentiment in his family animated him very much. Crude stone marks the burial place of Joseph and Emma’s firstborn son whom they named Alvin. Immediately after Mr. Harris’s departure, Emma became the mother of a son, but she had but small comfort from the society of the dear little stranger, for he was very soon snatched from her arms and borne aloft to the world of spirits before he had time to learn good or evil. [v] For some time, the mother seemed to tremble upon the verge of the silent home of her infant. So uncertain seemed her fate for a season that, in the space of two weeks, Joseph never slept one hour in undisturbed quiet. 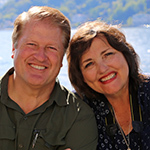 At the expiration of this time she began to recover, but as Joseph’s anxiety about her began to subside, another cause of trouble forced itself upon his mind. Mr. Harris had been absent nearly three weeks, and Joseph had received no intelligence whatever from him, which was altogether aside of the arrangement when they separated. He determined that as soon as his wife gained a little more strength, he would make a trip to New York and see after the manuscript. He did not mention the subject to Emma for fear of agitating her mind in her delicate health. After much persuasion, he concluded to leave his wife in the care of her mother for a few days, and set out on the before-mentioned journey. [viii] Only one other passenger was in the stage besides himself, and since this individual did not seem inclined to urge conversation, Joseph was left to the solitude of his own imagination. But the sensations which he experienced when he found himself well seated in the stagecoach cannot be imagined by anyone who reads this, for they have not been in like circumstances, and, of course, they cannot be correctly described. There were various causes acting upon his mind which were calculated to have a very peculiar effect upon him. In the first place was the consideration of the calling which he had received at the hand of God, many years previous, to do a thing unlooked for by the generation in which he lived. He cast his eyes abroad upon the age now present upon the earth, and reflected that he stood alone, an unlearned youth, opposed to all the casuistry and learning and ingenuity of the combined world. He considered that he had been called to extend his search up to the throne of God and bring down the precious things of heaven above into the midst of the sons of men, despite all their preconceived opinions and prejudices. These were so great that in order to gratify a pride of popularity and sustain a fashionable religion, they would and did strive, and even before this had used all their ingenuity, to take away his life to prevent the truth from coming forth-that their own opinions would not receive injury. But this he did not regard, while he was sure of the strong support of the arm of the Almighty Ruler of men. There remained another item of consideration of tenfold weight and of more vital importance than any of these. He had not now that feeling of justification which assured him of the especial favor of God, for he feared awfully that he had ventured too far in vouching for the safety of the manuscript after it was out of his possession. Should the manuscript be endangered, the consequence which must ensue was inevitable, which was that he would not be permitted to retain the plates until he should be able to translate them-and perhaps that he might never have the privilege of touching a finger to the work, which until now he had been the blessed instrument in the hands of God to bring to the knowledge of mankind. Nor was this the worst apprehension that disturbed his mind. The hot displeasure of the Almighty would be kindled against him for turning aside from the injunctions which were laid upon him, and for calling upon his Heavenly Father to grant him an indulgence that was not according to the instructions of the angel of the Lord. For it now appeared to him, upon reflection, that he had acted hastily and in an inconsiderate manner, and that he had regarded man more than his Maker. Whilst these thoughts, accompanied by ten thousand others, pulsed in rapid succession through his brain, there was but small opportunity of rest and little relish for refreshment. Consequently, Joseph neither ate nor slept while on the route. Joseph told the gentleman that he had left his wife in so low a state of health that he had reason to fear that he would not find her alive when he returned; also he had buried his first and only child but a few days previous to leaving home. The explanation was given in truth and sincerity, although there was heavy trouble lying at his heart that he did not dare to mention. Joseph thanked him for his kindness, and they proceeded together. When they arrived at our house, it was nearly daylight. [x] The last four miles of the distance, the stranger was under the necessity of leading Joseph by his arm, for nature was too much exhausted to support him any longer, and he would fall asleep as he stood upon his feet every few minutes. When we had complied with the first direction, Joseph requested us to send with all possible speed for Martin Harris. We did so, and after the stranger left (whose name we never knew), we prepared breakfast for the family, as soon as we conveniently could-for Martin Harris always came in such haste, when sent for, that we supposed he would be there and ready to take breakfast with us before we were ready. In this very room at the table of the Smith’s, Martin told Joseph and the family he had lost the 116 pages. “Oh, my God, my God,” said Joseph, clinching his hands together. “All is lost, is lost! What shall I do? I have sinned. It is I who tempted the wrath of God by asking him for that which I had no right to ask, as I was differently instructed by the angel.” And he wept and groaned, walking the floor continually. I besought him not to mourn so, for it might be that the Lord would forgive him, after a short season of humiliation and repentance on his part. But what could I say to comfort him when he saw all the family in the same state of mind that he was? Our sobs and groans and the most bitter lamentations filled the house. Joseph, in particular, was more distressed than the rest, for he knew definitely and by sorrowful experience the consequence of what would seem to others to be a very trifling neglect of duty. He continued walking backwards and forwards, weeping and grieving like a tender infant until about sunset, when we persuaded him to take a little nourishment. The next morning he went home. We parted with heavy hearts, for it seemed as though all our fond anticipations, that which we had fed upon and which had been the source of so much secret gratification to us, had in a moment fled, and fled forever. [i] In the Preliminary Manuscript, Lucy records at this point that Martin first asked to see the plates before he asked to take the manuscript home to show his wife. This appears to be an error in chronology. [ii] In the Preliminary Manuscript, Lucy only mentions that Joseph prayed once about allowing Martin to take the 116 manuscript pages. One can only imagine the pressure Joseph was feeling at this time to gratify Martin Harris. Martin was twenty-two years older than Joseph. He had liquidated Joseph and Emma’s debts. He had financed the move from Manchester to Harmony. He was spending all of his time as a scribe on the work. He was risking his good reputation to continue to associate with Joseph. He was losing his wife’s confidence and affections and potentially losing his own place in his home. All these considerations must have weighed heavily on Joseph’s mind and heart. [iii] These five individuals were: Martin’s wife, Lucy Harris; his parents, Nathan and Rhoda Harris; his younger brother, Preserved Harris; and his wife’s younger sister, Polly Harris Cobb (see Papers, p. 286). [iv] He departed for Palmyra on Saturday, June 14, 1828, after having worked as scribe since about April 12 of that same year (a total of sixty-three days). In his possession were 116 pages of foolscap paper consisting of what is called the “Book of Lehi.” Foolscap paper was so named from the watermark of a fool’s cap used on such paper (traditional jester cap having several drooping peaks from which bells are hung), and each sheet measured 131/2 by 17 inches. [v] This son, named Alvin Smith, was born and passed away on Sunday, June 15, 1828. [vi] This date can be approximated as being at the middle to end of the first week of July, 1828. [vii] Emma’s mother, Elizabeth Lewis Hale, lived just a few hundred feet away. Born November 19, 1766, she was sixty-one at this time. 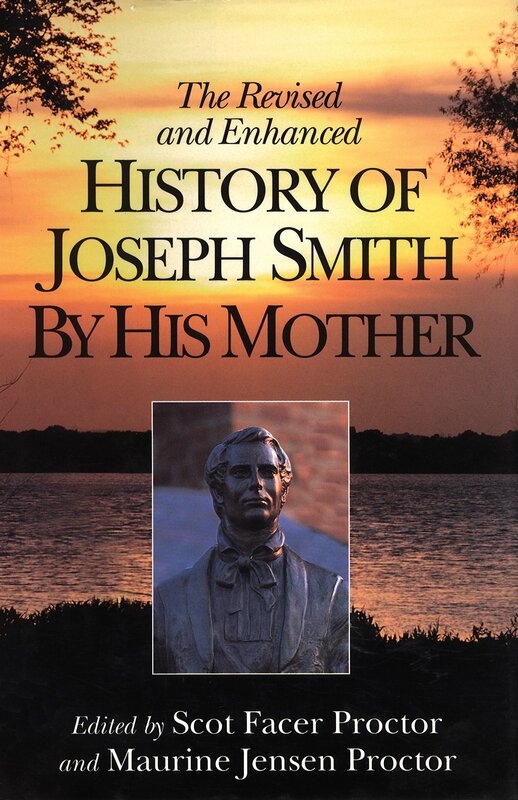 [viii] Joseph likely left Harmony about Friday, July 4, or Saturday, July 5, 1828. [ix] The stagecoach ride of 135 miles would have been no less than two full days and could have been three. [x] At this time of year, “nearly daylight” would have been between about 4:30 and 4:45 in the morning.